The Roaring Fork Transportation Authority will increase spending for security on public buses and some bus stops by $45,000, or 56 percent, in 2018, according to the budget approved Thursday. RFTA budgeted $80,000 for security each of the past two years. That will increase to $125,000 next year, according to CEO Dan Blankenship. The city of Aspen also has budgeted $40,000 in recent years for security at Rubey Park Transit Center, the hub in downtown Aspen. 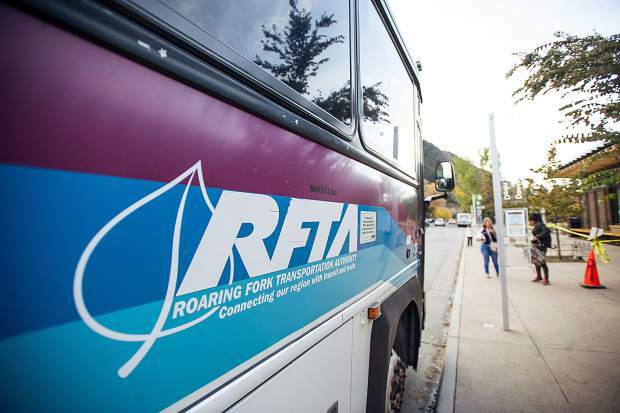 In addition, RFTA’s board of directors agreed Thursday to dive deeper into the issue of adopting policies and procedures aimed to ease violence on buses that is directed toward drivers and passengers. The discussions will start in the board’s January meeting, Blankenship said. They will look at policies undertaken by other transit agencies as well as recommendations from drivers and the drivers’ union. Ed Cortez, president of the local chapter of the Amalgamated Transit Union and a RFTA driver, urged the board to look into improving the safety of drivers and passengers. “Assaults are becoming more frequent and violent,” he said. After the meeting he said he didn’t want to start the debate while RFTA was stretched thin from providing extra service during the work on the Grand Avenue Bridge in Glenwood Springs. However, he didn’t want the issue to fade away without attention by the directors, who set RFTA policy. Cortez’s comments sparked discussion among the board about banning alcohol on buses. Current policy prohibits passengers from entering buses with an open container, but allows them to drink on the bus. RFTA board member and Snowmass Village Mayor Markey Butler suggested an interim “no alcohol on buses” policy for the holidays and Winter X Games. “Someone should be able to take a bus ride without drinking a beer,” agreed RFTA board member and Aspen Councilwoman Ann Mullins. But Blankenship and other board members said an alcohol ban would be difficult to enforce and potentially lead to more confrontations if drivers are forced to be enforcers. In addition, a lot of times a person creating a disturbance was already under the influence of drugs, alcohol or both before getting onto a bus, he noted. Cortez said he didn’t want to push the board into adopting a reactionary position. Instead, RFTA needs a well-crafted policy to counter violence. “It’s going to be a lengthy and complex conversation,” he said after the meeting.